If you’re in the market for a crossover SUV that’s capable of carrying around seven people but can do so in extreme comfort, surprisingly you’ve got quite a lot of choices. The fact that this market grew a lot in recent years means that a lot of companies have taken an interest in producing that kind of a vehicle in an effort to get a slice of the cake. The (mostly) American offering consists of great vehicles from Buick, Chevrolet, and even Ford. 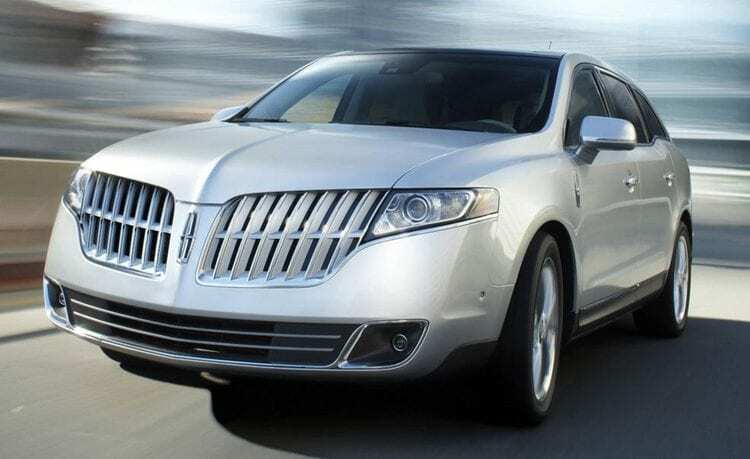 When it comes to luxury, however, most people know one car is still king: the Lincoln. 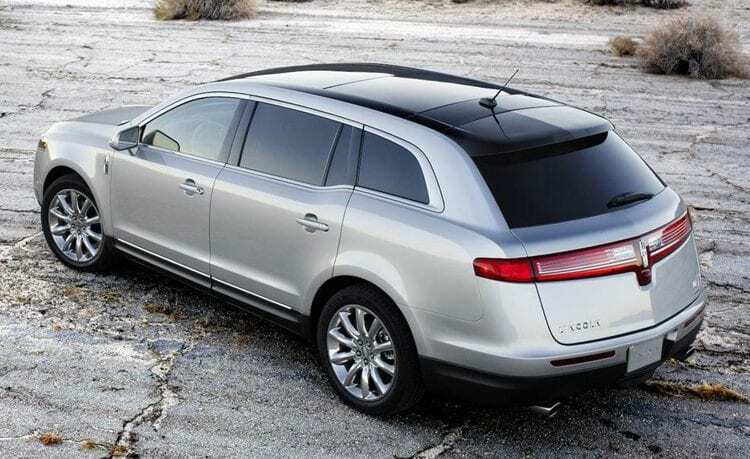 The MKT has always been Lincoln’s luxury crossover offering and for 2016 it remains largely unchanged. The MKT is a Ford Flex in disguise. Think of it as the flagship or ultimate Flex trim, except here you get even more equipment and different bodywork that’s unique to Lincolns. The features, which we will discuss later on, are rather overwhelming. This may be a Ford Flex underneath, but with all the extra stuff Lincoln has added you would never know. It doesn’t even ride like a Flex, simply because it’s so much better. Despite the fact that the only update is the Sync 3 system in place of the old MyLincoln Touch one, the MKT feels more grown up than ever. The MKT is a big luxury crossover SUV with seating for seven (three rows of seats). From the factory you can have it in two different trims: the MKT and the MKT EcoBoost. You can only have it with seven seats as there’s no five-seater “sport” version like most of its competitors do offer. This isn’t an issue honestly since you’re mostly buying it for that third row, so why would you want the option to have it with only five seats? If that third row is so bothersome, you can just remove it once and never put it back in. It’s not an issue at all. If you go for the captain’s chairs in the second row, you will reduce the seating capacity to six, but that’s about it. 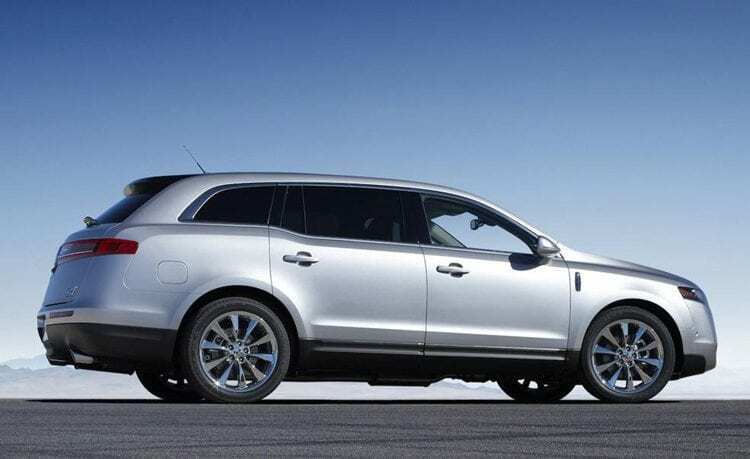 The base 2016 Lincoln MKT gets 19-inch alloys, fog lights, LED taillights, adaptive xenon headlights, heated mirrors, puddle lamps, keyless ignition and entry, panoramic glass roof, a rear spoiler and a rearview camera with matching rear parking sensors. The lift gate is naturally automatic too for added convenience. The interior brings ambient lighting, leather upholstery, front seats that are 12 way adjustable, a 60/40 split for the second row, shift paddles on the steering wheel and a tri-zone climate control which is also automatic. Ensuring everything is topped off at all times is an 110-volt power outlet that can be used to charge your laptop, cell phone, tablet and similar. The Ecoboost MKT gets different parts underneath, but more on that later. The real news here is the optional Elite Package which adds a tumble feature for the rear row of seats, a heated steering wheel, nav system, voice control, a premium audio system with 14 speakers and a blind-spot monitoring system. Should you go for the Elite, you’ll also get a six-year subscription to the Sirius/XM Network and the Travel Link. If you’re particularly tech savvy go for the Technology package. 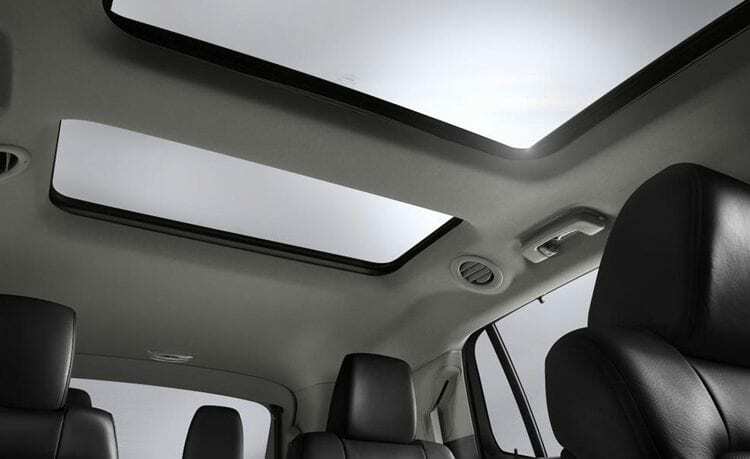 You will need to get the Elite package first to be able to purchase this, but it is worth it if you want the latest safety systems in your 2016 Lincoln MKT. 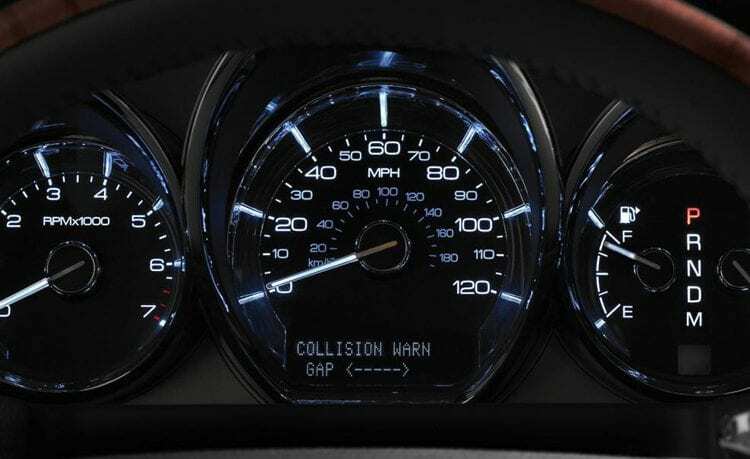 It adds adaptive cruise control, lane departure warning and prevention, automatic parallel parking (assist) and a forward collision mitigation system. It isn’t a necessity, but it sure is nice having all those safety systems onboard. The cabin offers an immense level of quality through and through. The moment you step in you just know it’s the highest comfort level. The leather, for instance, is similar to that found in the most luxurious vehicles, despite it being “just” a luxury crossover. The wood on the dash and the doors looks stunning at first glance, but you soon realize the reason for that is because it is in fact real wood and not imitation. The instrument gauge behind the steering wheel is easy to read and very clear. The speedometer is slapped straight in the middle, right where it should be. On either side of it, you find configurable screens giving you lots of information about the vehicle, its systems, and ride. If you opt for the captain’s chairs for the second row, you’ll be receiving an even more luxurious vehicle. Sure, you’ll drop a seat as they reduce the seating capacity from seven to six but the remaining six occupants will sit in even greater comfort. The fact that the center console runs the full length will give those in the second row the impression that they’re equal to those in the front seats, something that’s only really true in luxury limos. Kudos to Lincoln there for delivering such setup. The biggest news like we said is the Sync 3 system. 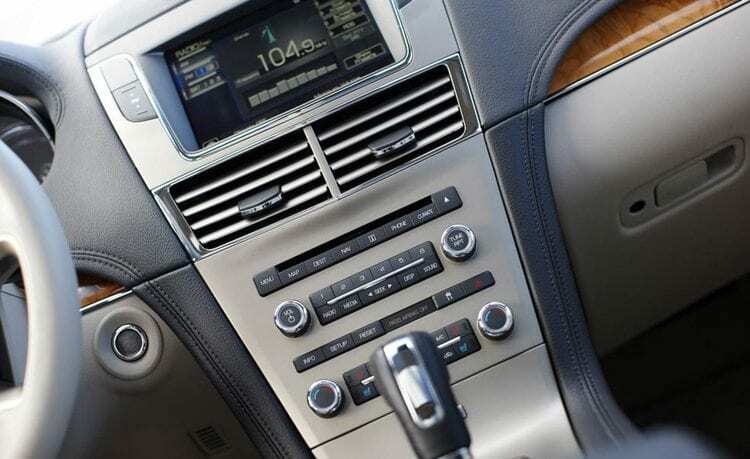 It eliminates pretty much outdated MyLincoln Touch and pushes everything to the next level. The Sync 3 uses a smartphone-like interface which is not just easy to understand thanks to the many similarities to a smartphone; it is super-fast and responsive too. It got features like pinch-to-zoom and left and right swiping for the menus. Naturally, Apple CarPlay and Android Auto integration are present for the new system, so all those most popular devices are supported from the get go. The hood of the standard MKT hides the 3.7-liter V6 engine which develops 303 hp and 278 lb-ft of torque. It powers just the front wheels via a six-speed auto gearbox. The much more powerful MKT EcoBoost gets a 3.5-liter turbocharged V6 producing 365 horsepower and 350 pound-feet of torque. It too is mated to a six-speed auto but this time sending the power to all four wheels. In testing it managed to reach 60 miles per hour in just 6.2 seconds, making it extremely quick. For comparison’s sake, that’s time that just a few years ago most sporty, lighter sedans struggled to achieve. Naturally aspirated engine will be able to return 16/24 mpg city/highway drive while the more powerful turbo unit is rated at 15/21 mpg but have in mind that it does offer all-wheel drive. This makes EcoBoost version heavier for about 180 lbs but far more capable in any conditions where you struggle for grip. Should you want one, you’ll have to shell out a decent amount of money, $43,370 to be exact. We still think it is well worth it, just because of how much further it goes when compared to its rivals. Don’t take our word for it, however, go and take one out for a spin.